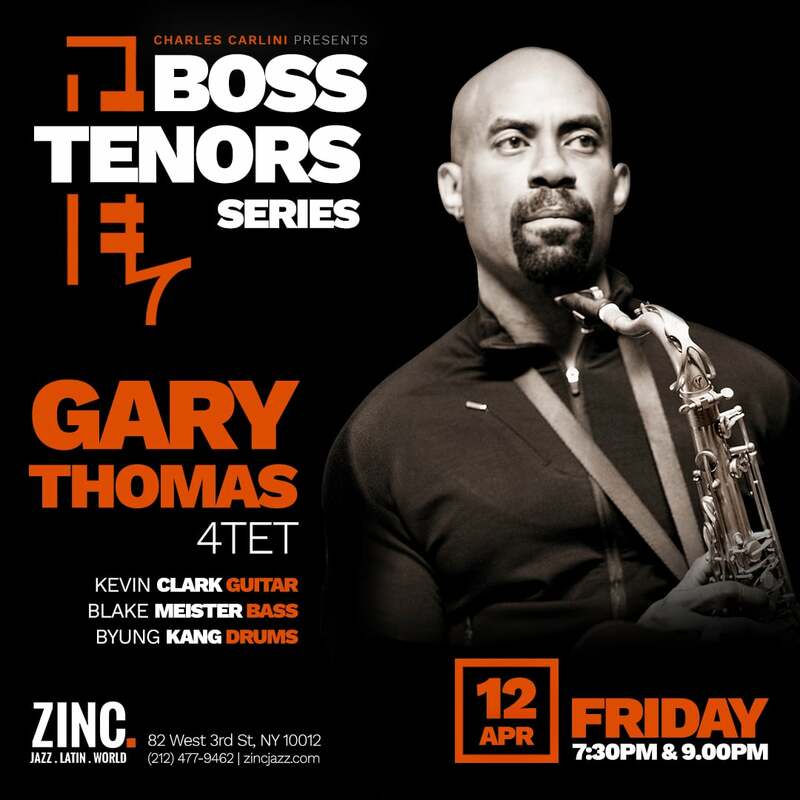 Catch Tenor Titan Gary Thomas at Zinc this Friday, June 12. Book your tickets now! Acclaimed Tenor Saxophonist Gary Thomas brings his formidable quartet to Zinc on Friday, April 12. He’s supported by guitarist Kevin Clark, bassist Blake Meister, and drummer Byung Kang.